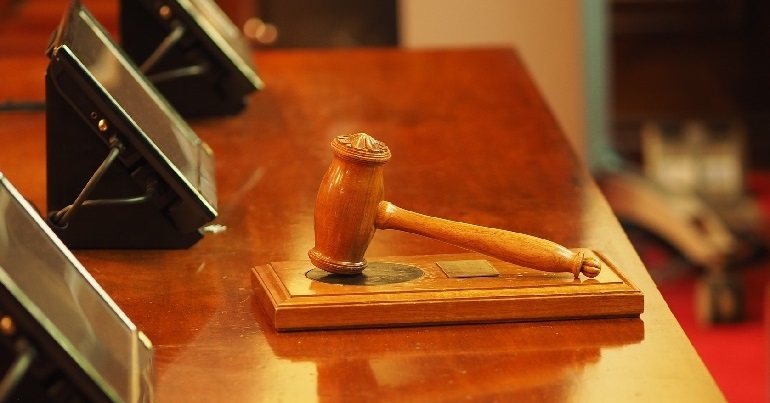 The Belgian court’s decision in March 2019 is in line with another recent ruling by the Court of Justice of the European Union (CJEU). In November 2018, the CJEU determined that it was wrong for the Council of Europe to list the PKK resistance group as a terrorist organisation from 2014 to 2017. While the PKK used to struggle for an independent Kurdish state, the PKK and its sister organisations (like the Democratic Union Party (PYD), the Peoples’ Protection Units (YPG) and the Women’s Protection Units (YPJ) in northern Syria) now practise Democratic Confederalism. This left-wing ideology rejects nationalism and the nation-state in favour of a feminist, grassroots, direct democracy seeking environmental sustainability. We can see this in practice today in the region of Rojava in northern Syria. According to the defence, the conflict had reached an intensity sufficient to be regarded as a war and not as terrorist activity or a collection of armed clashes. The Kurdish guerrilla HPG, the defence said, was sufficiently organized and structured to be regarded as an armed force and not just an irregular group. This meant that the law of war had to be applied, as opposed to the anti-terror law, and that attacks on military targets could not be assessed as criminal acts. In 2001, the UK government labelled the PKK a terrorist organisation. Therefore, any support for the PKK can result in arrest, seizure of assets, and conviction under terrorism charges. A trial in the UK is ongoing for a British father who is charged with attending ‘terrorist’ training camps with the PKK in Iraq and its YPG allies in Syria; even though he was training to fight against Daesh (Isis/Isil), and the YPG are not banned in the UK. In 2018, The Canary revealed a Metropolitan Police terror training document that listed far-right British and Islamist groups along with animal rights groups, the PKK and the YPG. 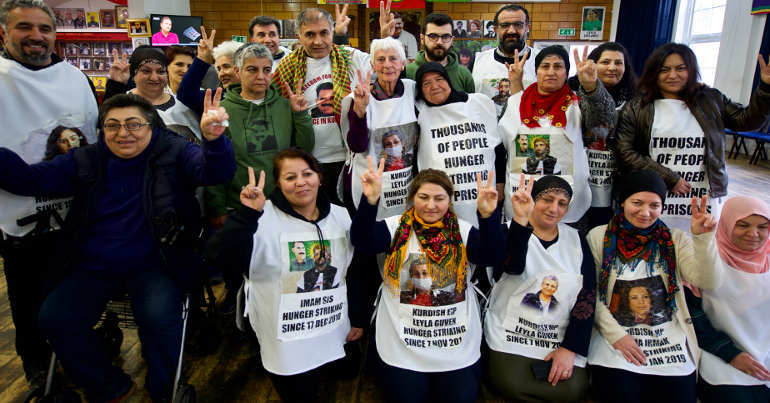 In January 2019, the office of London mayor Sadiq Khan reportedly placed pressure to stop a Kurdish solidarity event from being held in City Hall by union groups and local councillors. 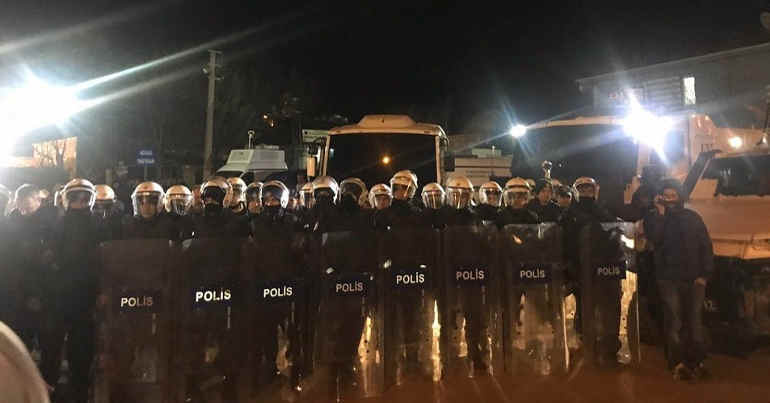 a large squad of police was used to search legal Kurdish organizations and production sites of Kurdish television in Belgium and to arrest several representatives of the Kurdish National Congress (KNC). The investigations led to the levelling of charges by the prosecution against some 40 persons who were accused of collecting donations, propaganda, and recruitment for the PKK. In a second case, a Syrian Kurd was charged with having exported communication equipment to Erbil in Northern Iraq, equipment that the prosecution claimed was transferred further to the Kurdish [PKK-linked] HPG guerrilla [in Iraq]. 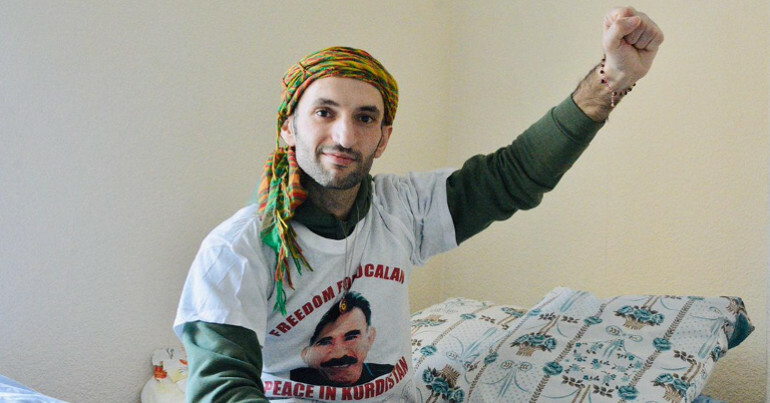 The perverse irony of the British government continuing to persecute supporters of the PKK while the CJEU and the Belgian court have ruled them to be a ‘party to an armed conflict’ and not a ‘terrorist’ organisation should be lost on no one.